A place once unfamiliar was now home. We arrived in Chiang Mai 12 months earlier, wide-eyed and unsure. We returned a year later – excited, relaxed, and eager. Excited to see old friends, visit our favorite cafes and restaurants, and eager to relax after spending the last 7 months in 11 different countries on 3 other continents. One year earlier, we spent our first 30 minutes passing through a city we’d never seen in a country we had never visited. Everything was new, unique, and different. Now things weren’t so new or so different, and that’s what made this arrival calming. Given the visa on-arrival restrictions, we used our time in the region the previous year to explore South East Asia – departing every 30 days to visit a new city for a weekend. It was a great way to orient ourselves to the region and leverage the relative low cost of travel in this area of the world. Yet, this year we wanted to slow things down a bit to explore more of Northern Thailand and all the gems we passed up during our first fall stay. Little did we know that this year’s 5-month stay would generate an abundance of serendipitous adventures that would teach us as much about Northern Thailand as it would teach us about ourselves. as well as the lessons learned and the confidence gained. our lives and dreams would never be the same. When we arrived at our week-long AirBnb apartment in late September, we took the first step of scratching off a long-awaited desire. My wife had always wanted to stay at the Nimmana, a new condominium complex complete with an expansive lobby, pool, gym, and sauna. She loved having the pool, looking at it, and gazing at other swimmers but each day only admiring from afar. 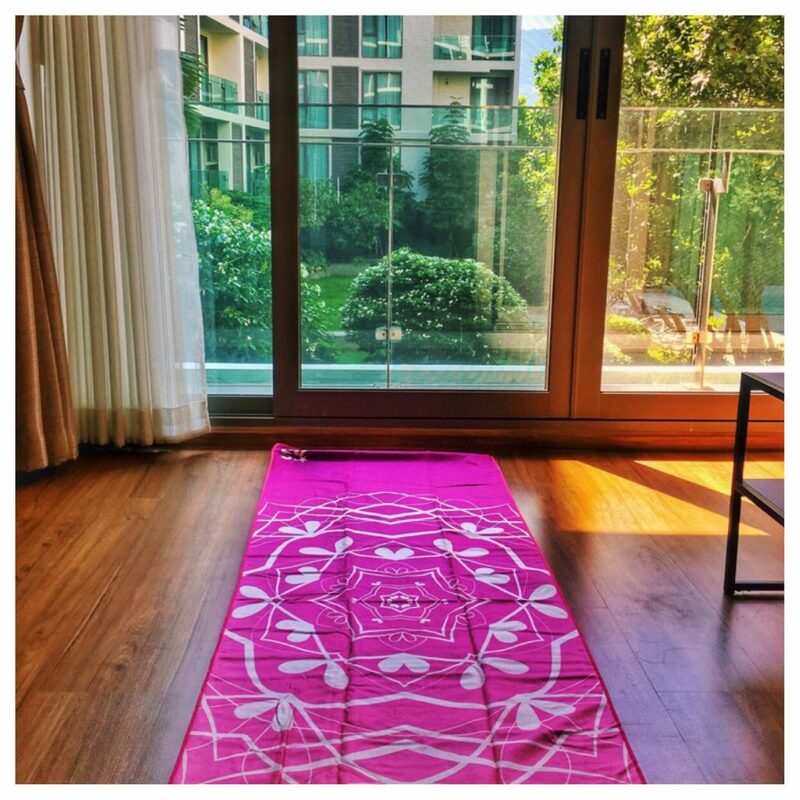 She’d do yoga each morning overlooking the patio and the pool, only to hold herself back from taking the dive. This hesitation was peculiar to me, as I’ve seen her swim before and knew that she was a good swimmer. Yet for many reasons, she didn’t trust herself. After our weeklong stay and a day of walking around the sweltering late-summer streets of Chiang Mai to search for a longer-term apartment, we ended up back where we began. We settled on a 5-month lease at the same complex but in a different building (and with a much better view of the pool). 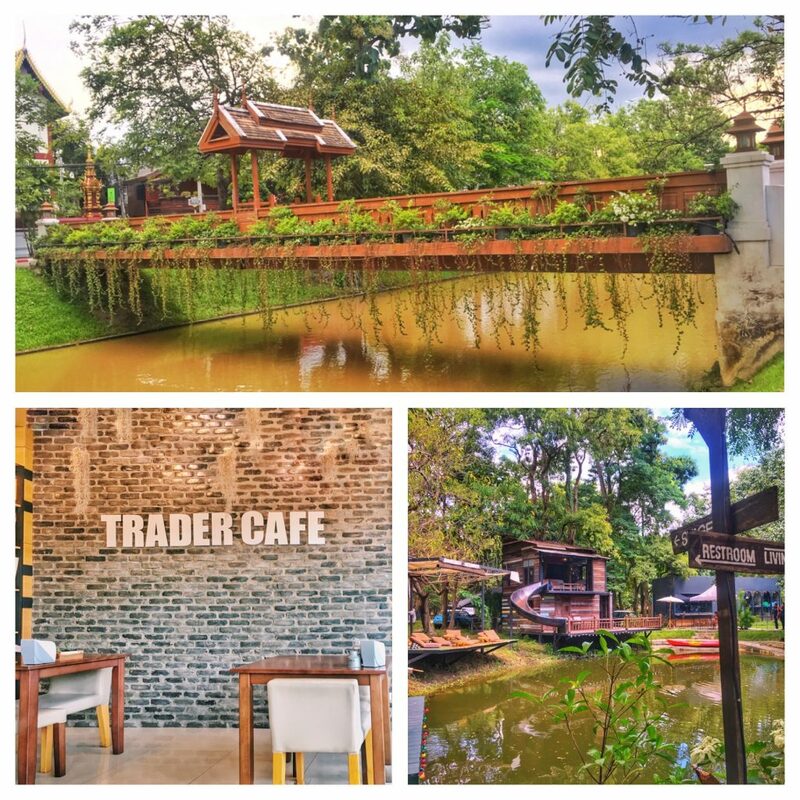 One of the best things about Chiang Mai is the ability to settle in so quickly and comfortably. Being able to walk around, find a fully furnished apartment, sign a lease, drop a security deposit, and have an apartment all in the span of 2-4 hours, is just one of the ways the place drastically reduces much of life’s stresses and allows the mind to focus on other, more aspirational desires. Cost-wise, it also allows for taking advantage of random opportunities without breaking the bank. So when my friend, Osandi, sent a text a couple of weeks later and said, “Yo, wanna hit up Chiang Dao this weekend?” I couldn’t say no. 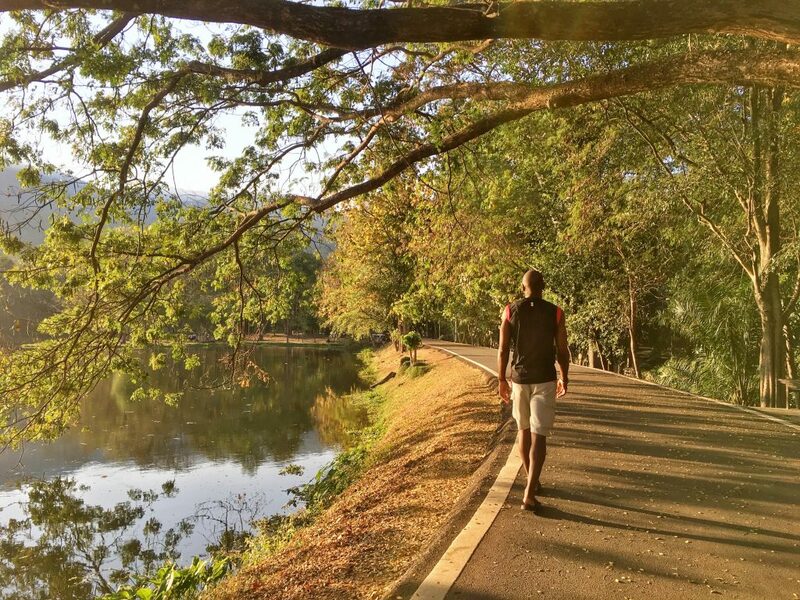 We’d been back in Chiang Mai for a little over three weeks, and Osandi and I (who became friends last Fall and kept in touch throughout our intercontinental vagabonding) had been talking about organizing a weekend getaway trip to the mountainous resort town. We texted on Thursday, had plans settled on Friday, and just like that, we were off by Saturday morning cruising 1.5 hours north through the mountains with our partners in tow. The weekend in Chiang Dao was a fitting start to our fall season of random, spontaneous adventures. Practically nothing was planned and yet everything was perfect. You never know when you travel as two couples how things are going to go, but when you release expectations and control, almost nothing can dampen your experience. 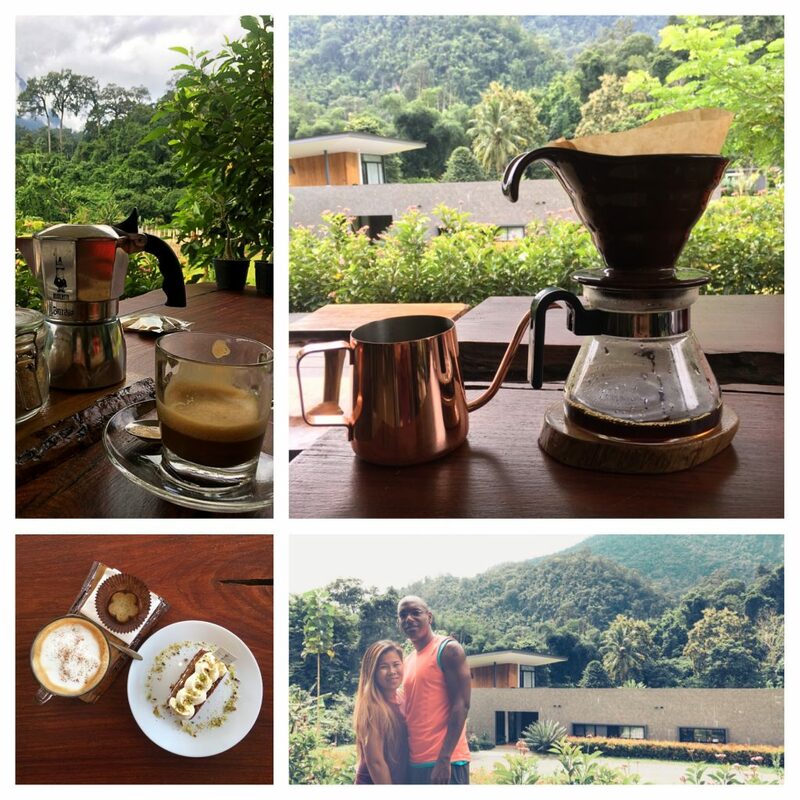 Most of our time was spent exploring random cafes in the area, including an absolutely spectacular café/villa at the foot of the mountains (Villa de View). We spent both of our afternoons there, enjoying the coffee, the stunning landscape, as well as the charming chuckles and smiles of the café staff. In the late afternoons and early evenings, we took advantage of Osandi’s charismatic nature and were allowed to enjoy the pool and grounds of the Azalea Resort, even though we weren’t staying there as guests. And this is where our lives began to shift. As I mentioned earlier, my wife had been mesmerized by yet self-restrained from enjoying the pool back at our complex in Chiang Mai. The pool and the scenery at Azalea are simply breathtaking and one would be remiss by not taking advantage of it. Such was the objective at this stage in our lives. The ability to take advantage of life’s opportunities to travel the world and create whatever future we desire. The pool became both a symbol and a challenge. It was a symbol of life. It also exemplified the challenge of conquering the self-restricting fears that debilitate one’s ability to trust oneself in pursuit of their goals. Over these two days, I pushed my wife as hard as I could to get her to believe in herself and her ability to swim. Even though she was eventually able to swim two full lengths of the pool, she left the trip happy (for the overall experience) but downtrodden at the fact that she couldn’t get beyond herself and her fears. Over the next couple of weeks, she’d peer down from our patio and examine swimmers in the pool. Thinking more than doing. It wasn’t until she became more upset with her inability to act than her fear (which actually wasn’t the act of swimming but rather simply believing in herself) that she took it upon herself to go down to the pool and practice swimming. One day in particular, she sat on the ledge of the pool for over an hour, looking at the water and thinking. Thinking of all the reasons why she couldn’t do it and what may happen if she failed. Later, she’d ask me to come down and watch her swim. Every time, she would swim halfway and then let her fear take over. Even though she was in no danger of drowning. At one point, I recorded a video of her swimming (strongly) halfway down the pool and as I started to see her mind take over, I moaned, “ahh….just keep swimming!” That unfortunately, wasn’t the day for her to achieve her goal but a few days later she triumphed, on her own. It was momentous because getting over her fear in the pool had much less to do with the water and every thing to do with her mind. She has always been a strong swimmer but at some point in her life, she allowed her mind to limit her beliefs. Once she freed her mind, her body took over, such that by the time we left Chiang Mai four months later, she was spending an hour in the pool almost everyday swimming sometimes up to 40 laps. It’s a testament to the phrase, “just keep swimming.” By pushing yourself slightly farther each time, you train your mind to change its limits and pull yourself closer to your goals. 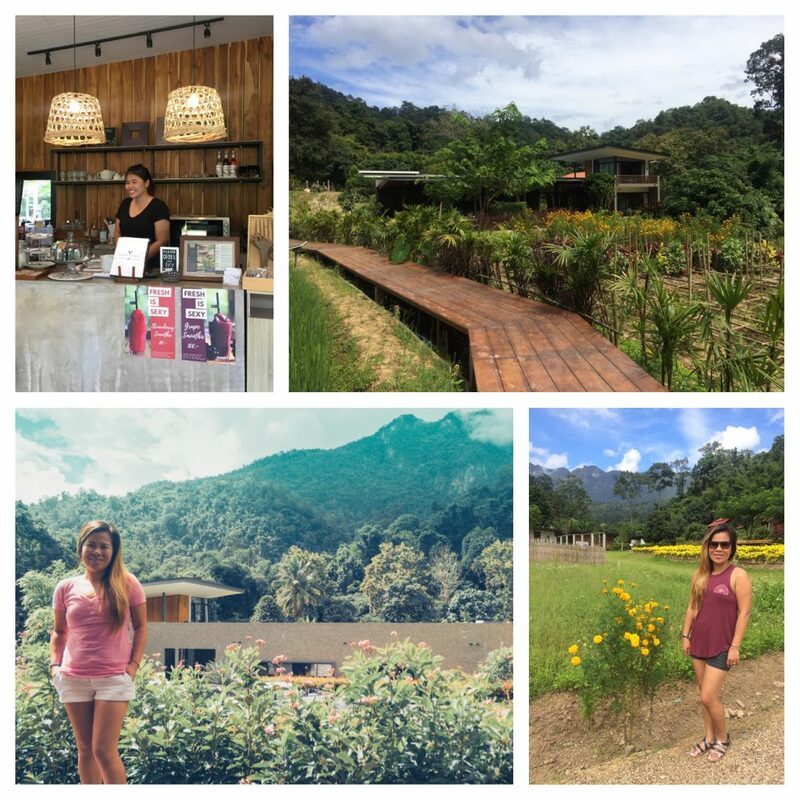 One of the other changes that occurred after our serendipitous trip to Chiang Dao was that we revved up our ability to explore more of Chiang Mai. 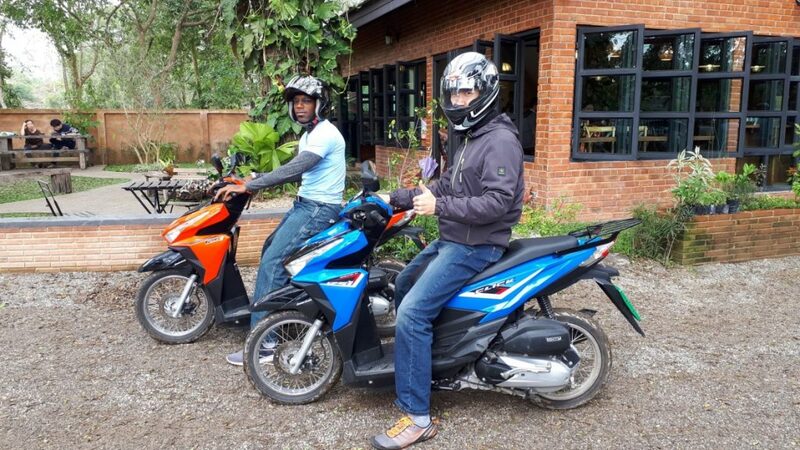 While I had thought about renting a motorbike during our brief weekend getaway, I passed on the opportunity because the weekend went by so smoothly. Instead, upon our return to Chiang Mai, I decided to get back on the bike for the first time in over 20 years. During my freshman year in college (back in 1996), I had Honda motorbike. Yet, I hadn’t ridden a bike since that time. Getting around Chiang Mai without a motorbike is fairly limiting and as Osandi kept telling me, “having a bike opens you up to the magic of Chiang Mai.” He couldn’t have been more correct. The first weekend back on the bike we explored cafes in the deep in foothills, the Royal Gardens, and simply got lost to find hidden gems. While I didn’t need any formal training, my wife opted to take a Honda Riding Safety Class (2-days, 8 hours per day for about $60 total) to test her skills and get comfortable on the bike. Ironically, that not only gave her the chance to practice on a closed course, but it also gave me good road practice in navigating morning and afternoon rush hour traffic for the 25-minute commute to pick her up and drop her off. Though she gained valuable skills and understanding of how to operate a bike, she still wasn’t comfortable enough to deal with the infamous Chiang Mai traffic. For me, though, I began renting a bike each weekend and expanding our exploits. Soon we’d find new favorite cafes in quiet, lush environs, away from the touristy, noisy, and congested areas of the city. 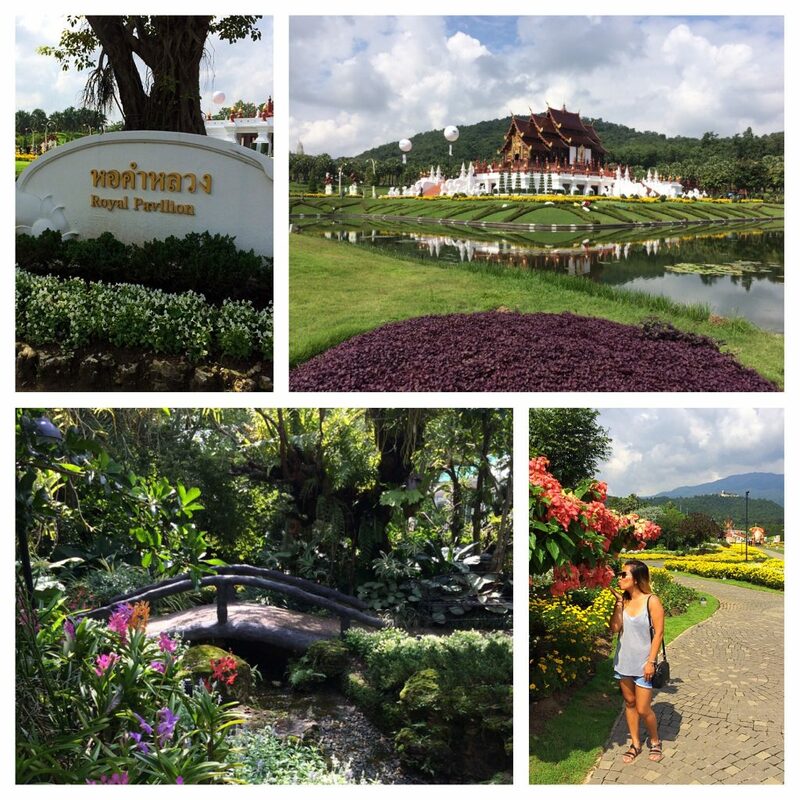 We began to feel the calm and serene character of Chiang Mai, and our love for the Northern Thai gem blossomed. But alas, after our first 60 days in Thailand we were forced to depart on the inevitable visa run. 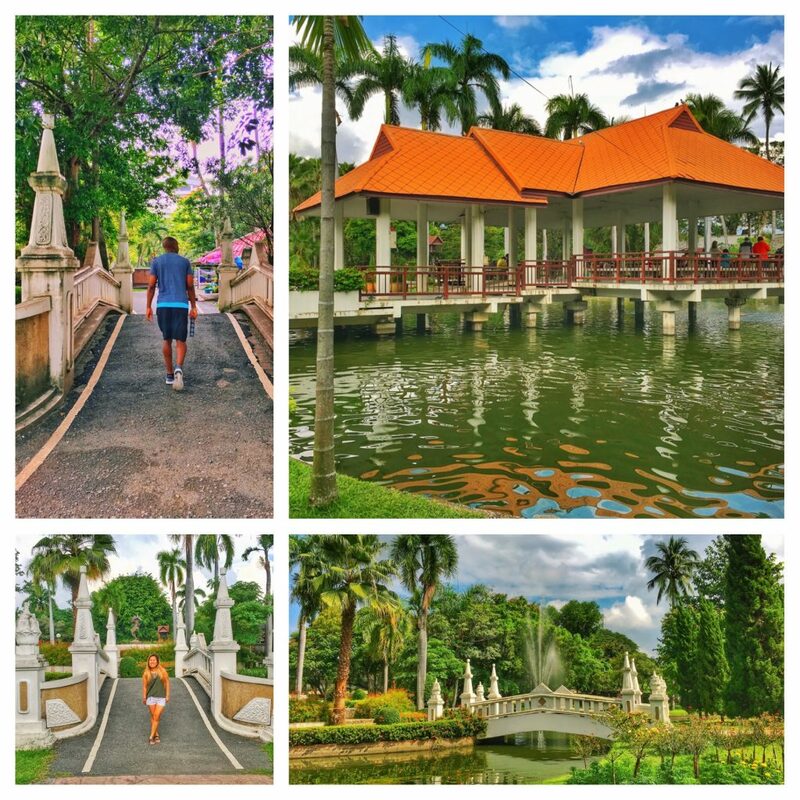 We decided on Kuala Lumpur (KL) as the first visa run for the season for two reasons. First, it’s the cheapest international direct flight out of Chiang Mai and allows us to hit up many of our favorite stores to make annual wardrobe updates. Second, we’d plan on acquiring the 60-day tourist visa at the Thai Embassy in KL, so that we could eventually stay for a longer period without having to do another visa run in 2 months. (Long story short, with any tourist visa Thailand allows a 30-day extension in-country. So with a 60-day visa granted out of country, you can extend it another 30 days in-country for a total of 90 days). 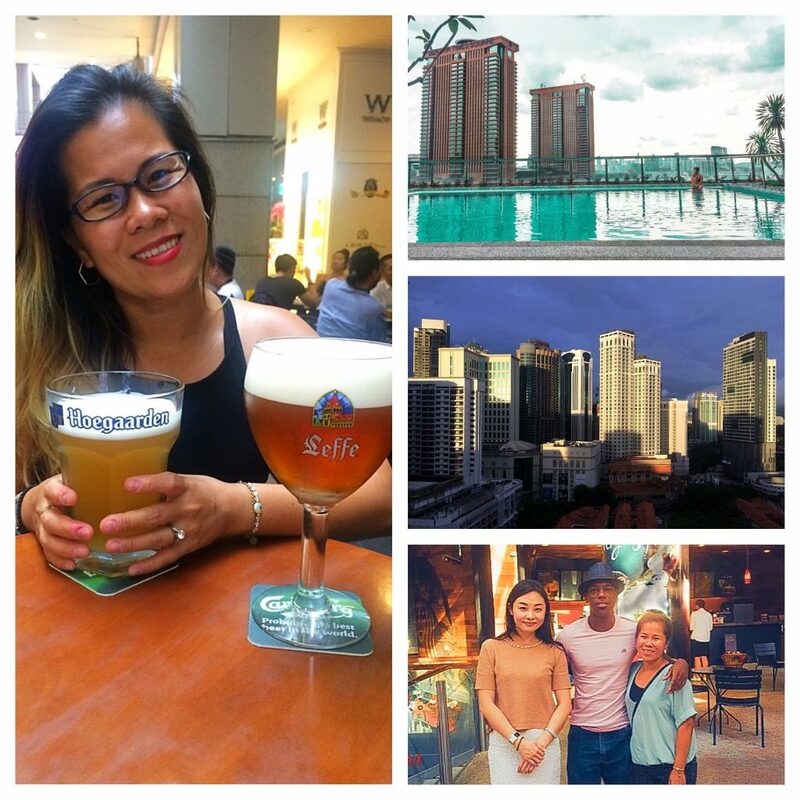 Though we were ready to leave KL just 5 days into our 11-day trip, we found simple ways to maximize the time. One of those simple pleasures was enjoying our “Hoegarden Happy Hours” at the Pavilion. 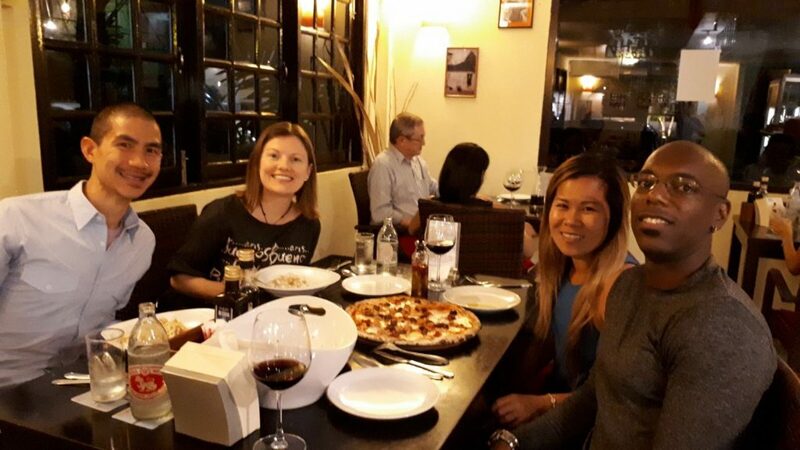 Back in March, it became a weekly ritual to treat ourselves to a night out, chatting and dreaming about our upcoming plans. In the coming days, we’d be returning to Chiang Mai in early December – a month packed with visitors and activities. A month of experiences that was now only possible after relinquishing some of our self-restricting fears and idealistic expectations in the prior two months. It would truly be…. When we returned to Chiang Mai in early December, there weren’t many plans though there were plenty of upcoming activities. First, our friends Yoway and Julie (who we met originally in Valencia back in April) arrived to spend a month in Chiang Mai. We had raved about it enough during our time together in Valencia that they had to come and see it for themselves. 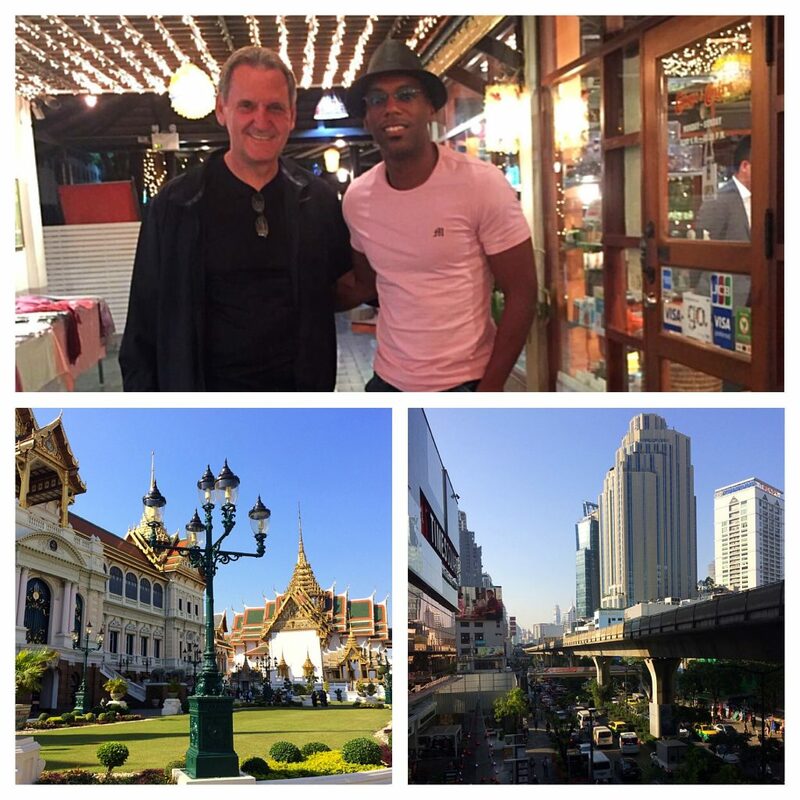 And two days after they arrived, my friend, former co-worker, and tennis buddy, David, swung through Chiang Mai for a week on an initial leg of his post-retirement adventure. Having friends and visitors on this type of journey allows you to explore and showcase your temporary home bases from a different perspective. 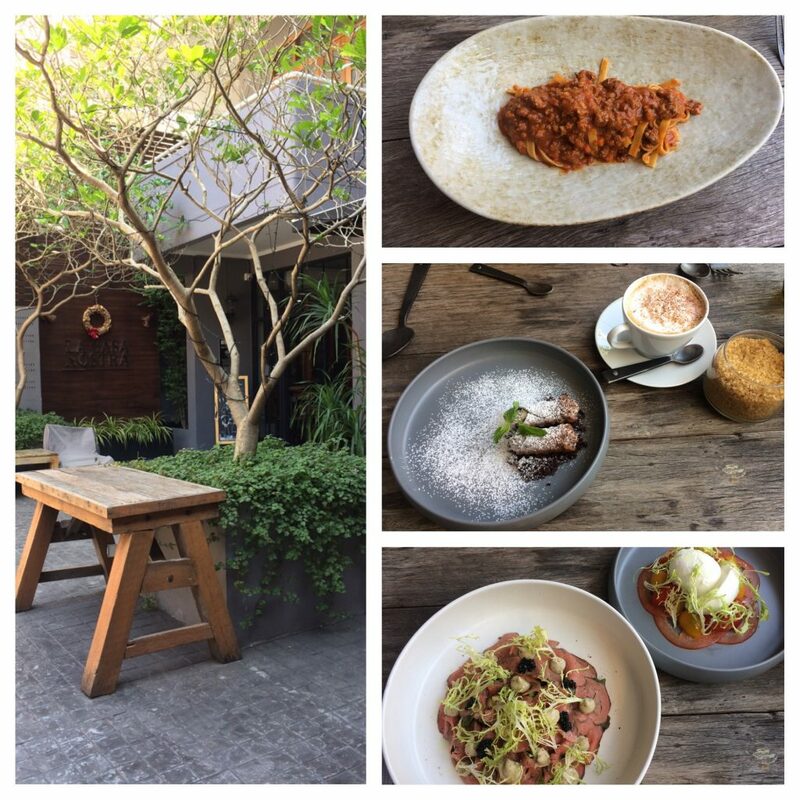 It was David’s first time in South East Asia and he was open to enjoying the simple aspects of travel after a lifetime of business trips and office toils. Yoway and Julie came up to Chiang Mai after a brief time in Bangkok, so they were already somewhat acclimated to the country and culture. The fresh eyes and modest nature of our December visitors made it easy to impart our love for the city. When you release expectations and simply “go with the flow”, awesome adventures tend to transpire. 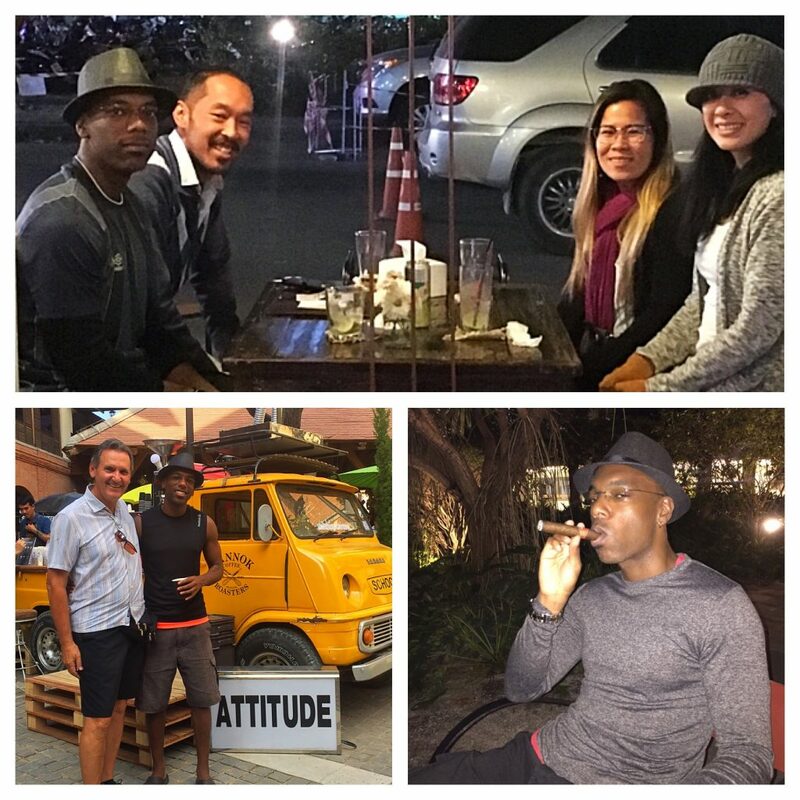 By the end of the month, we had spent nights with these visiting friends enjoying live music, dining at some of our favorite restaurants, finding new restaurants, and enjoying effortless evening chats – sometimes with a cigar in hand. 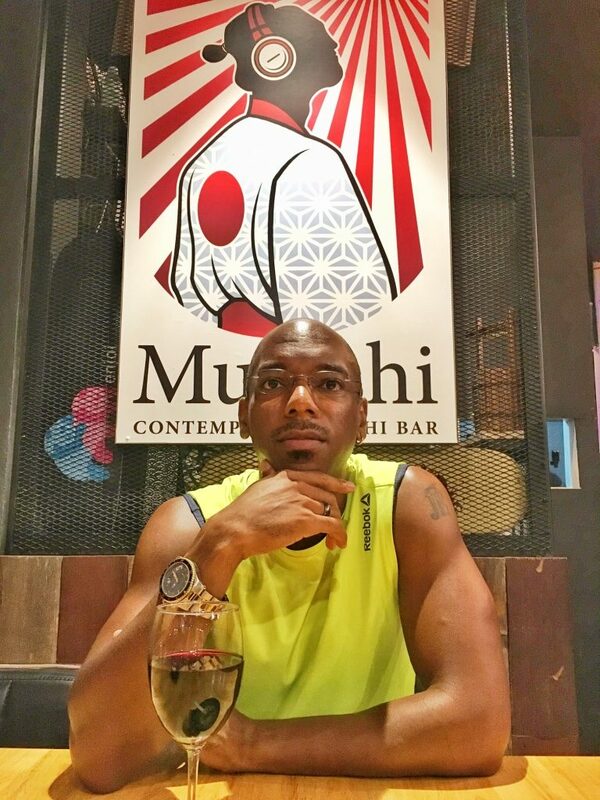 To treat myself for my birthday and a good business year, I decided to book a first class ticket down to Bangkok to relish a few days in the big city. I’d always wanted to fly business class on a Boeing 777, so when I saw a deal for a $125/flight on Thai Airways, I couldn’t pass it up. And lo and behold on a whim, David ended up meeting me there after spending a week on the southern Thai beaches. On the final day of our Bangkok adventure, I decided to give in to opportunity and pull the trigger on decade-long dream. In the late 2000s, David and I started playing tennis after work during our time at Stanford. As I noted in a previous post, “The Return of Serve”, through diligence, patience, and perseverance in the summer of 2010, David guided me to develop a skill that may last a lifetime and I, in return, provided him with a memorable first tour flight around the SF Bay. 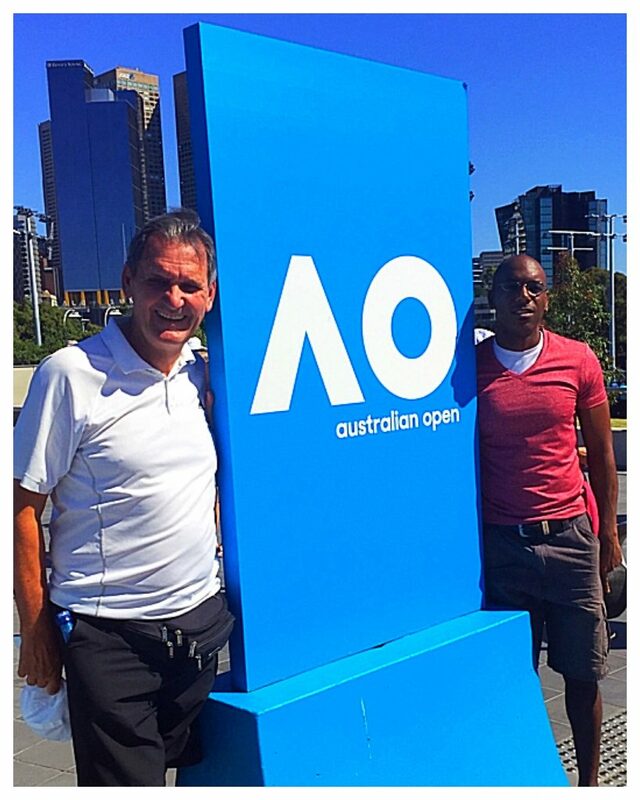 It was around that same time that we dreamt about meeting up in Melbourne one year to attend the Australian Open. Now was our time and yet, I kept holding back from pulling the trigger. Perhaps it was the cost; perhaps my dread of the long night flights over the deep sea. But in the end, I realized that this was the opportunity of a lifetime and one that could only be shared with David. So the next day as I departed Bangkok, I booked my flights and waved “Ciao” to David from the MTR station, knowing that we’d meet again just 3 weeks later in Australia. 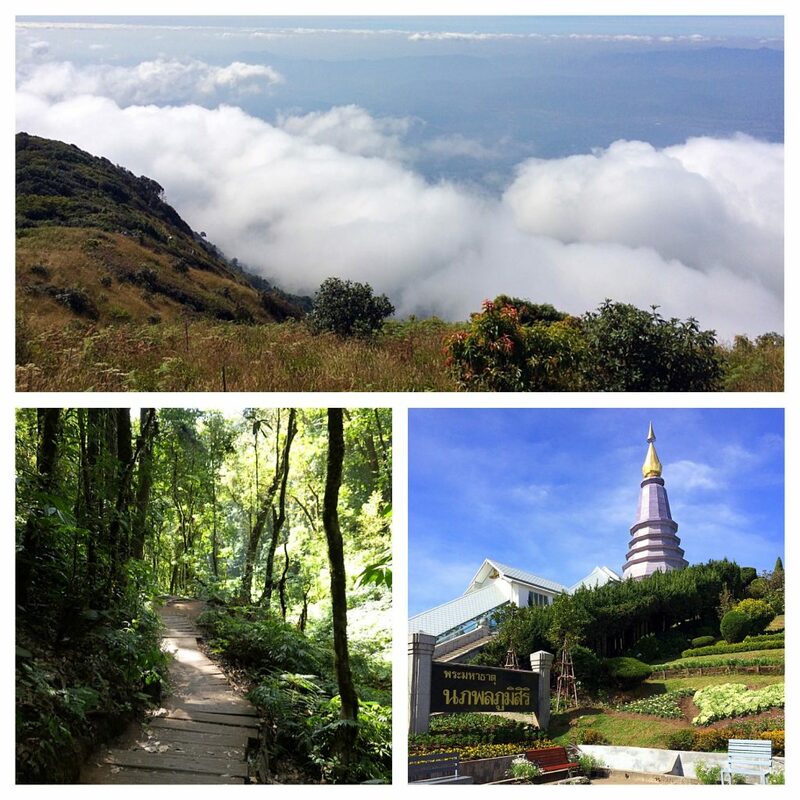 Just a few days later, on Christmas Day, my wife, Julie, Yoway, and I rented a personal driver and set off to explore Doi Inthanon – the highest peak in Thailand. Julie, or Grandma Julie as I like to call her, has a passion for knitting. To provide some much-needed warmth , as well as create a symbolic tribute for our Christmas Day hike, she knitted four red beanies. 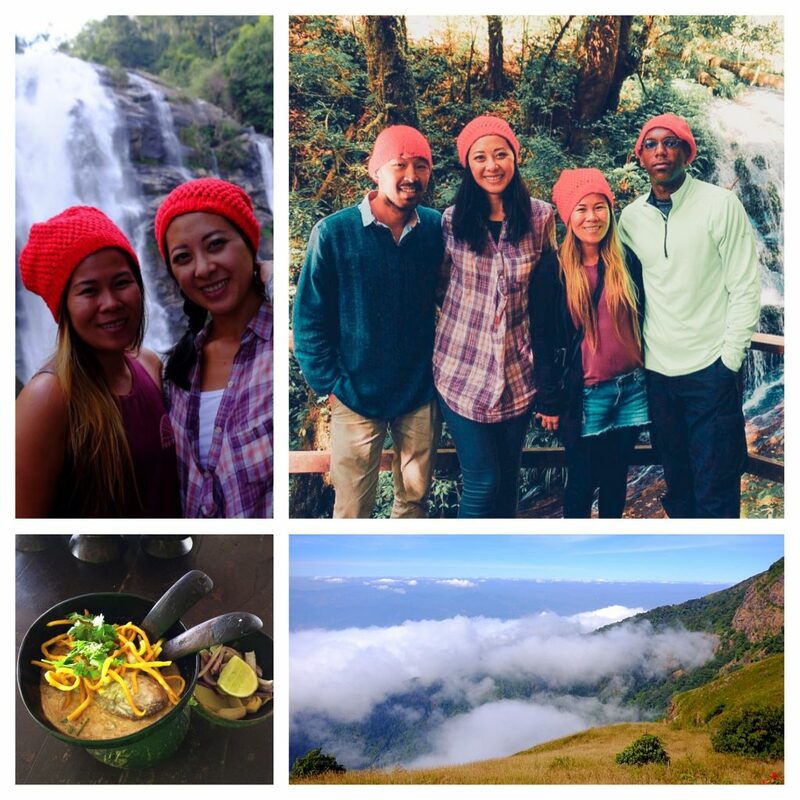 So with that, our self-proclaimed “Cali Slouchy Beanie Crew” set off for our one-day adventure 2 hours outside of Chiang Mai. Outside of an unfortunate encounter with a grouchy, middle-aged Eastern European “gentleman” who was beset with ignorance and near rage that he had to join our crew for the guided hike through the mountain, we had an absolute blast. The low-impact hike was a perfect way to get out of the city, be with nature, and do something special on a special day. It gave us another memorable chapter in our travel experiences together that now spanned from Spain all the way to Thailand. Again, going to show that without predetermined expectations, giving way to spontaneity can create unique and cherished experiences. This was fast becoming the theme of our Chiang Mai adventures this time around and would be even truer of our next adventure. It was now January, the start of our fourth of five months of this Chiang Mai season. Just three months earlier when we took a last minute trip to Chiang Dao, I hadn’t ridden a motorbike in over 20 years. Now, the bike was practically was an extension of me. Rather than renting a bike for just the weekends, in December I switched to a multi-month rental. 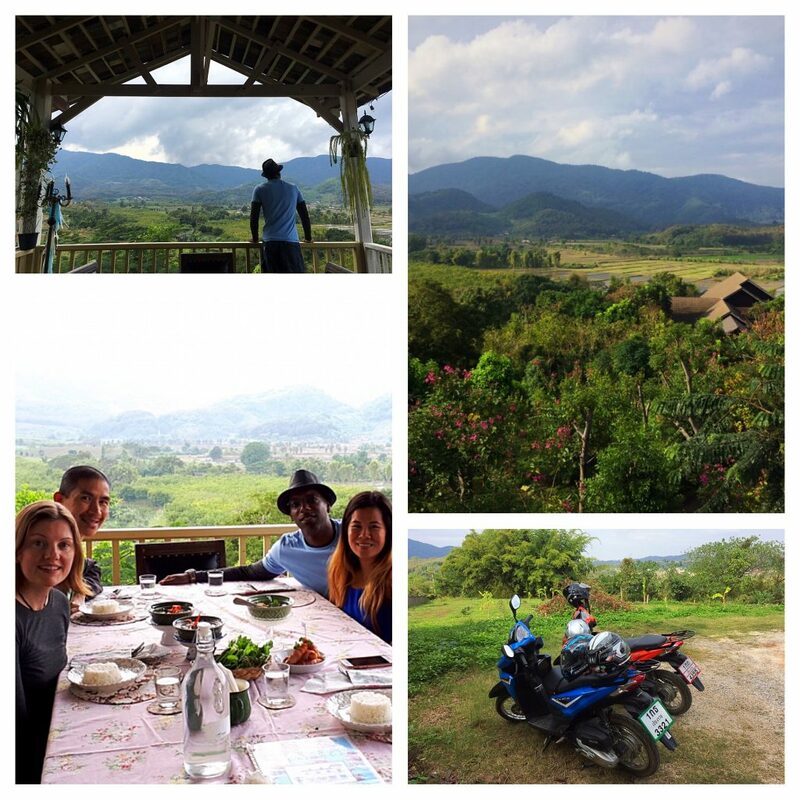 So when we decided to take a trip up to Chiang Rai (3 hours north of Chiang Mai) with our friends Duke and Jessica (by way of British Colombia), my rekindled use of the motorbike exponentially impacted our experiences. 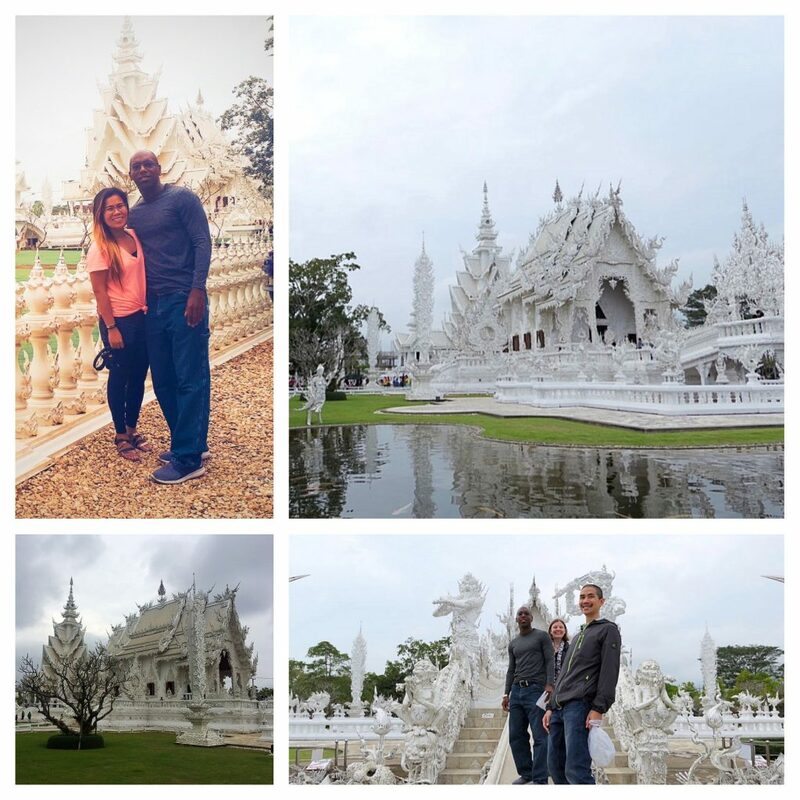 Duke and Jessica are long-term expats, traveling between 2-3 home bases each year. 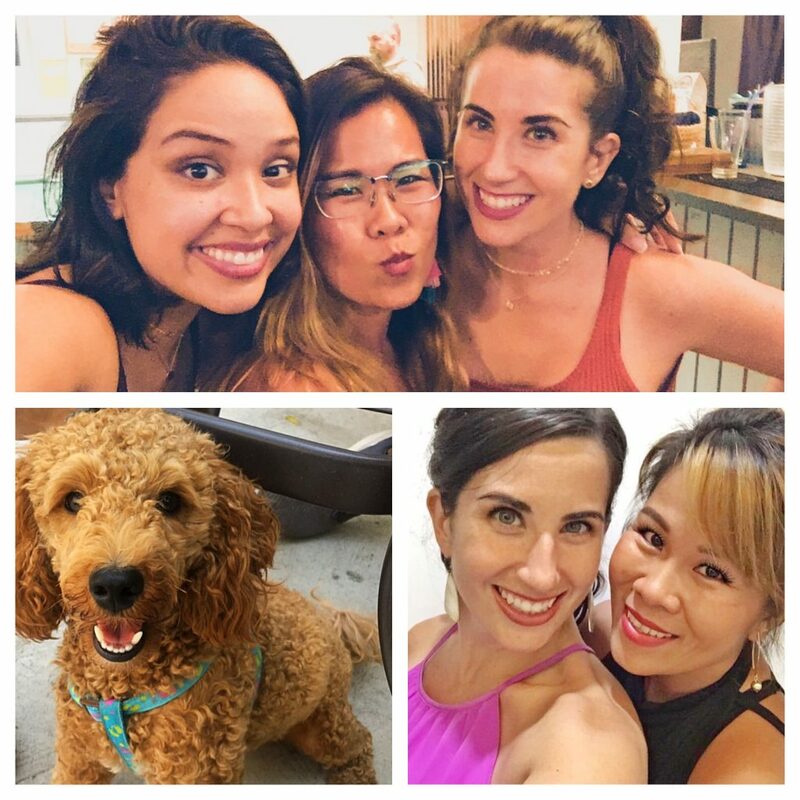 We met them the previous year in Chiang Mai and through the power of text messaging apps, stayed in contact throughout all of our separate world travels. 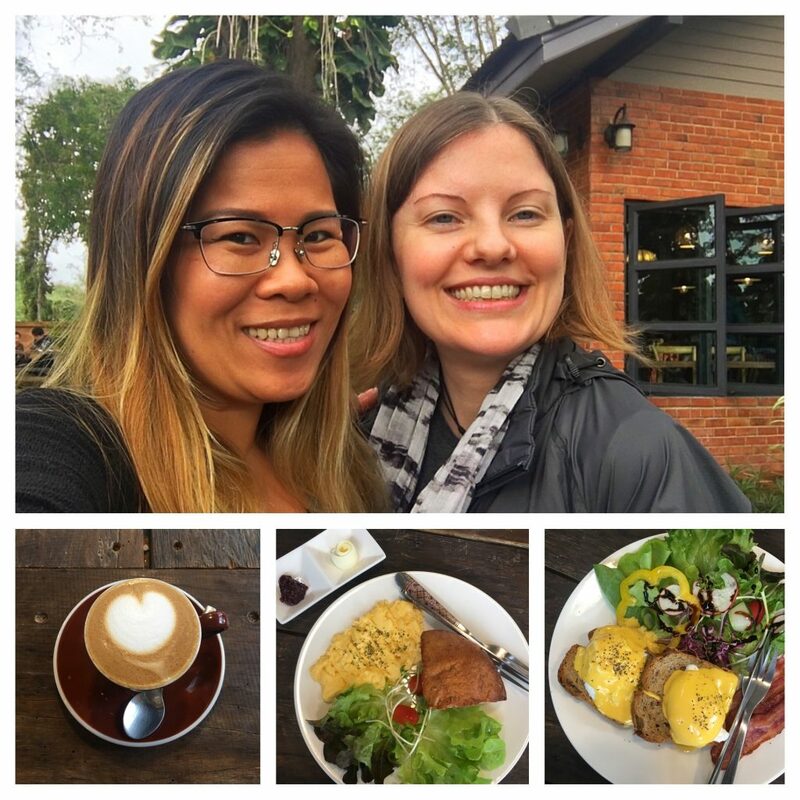 For months, we talked about taking a trip up to Chiang Rai and given that they were about to depart Thailand at the end of the month, we jumped on the chance to carve out a weekend in early January. At this point, traveling to new places is becoming as easy as having a comfortable place to stay, some mode of transportation, and a mobile phone. Beyond those few critical things, the rest of it can be figured out as you go – and that’s exactly what we did. 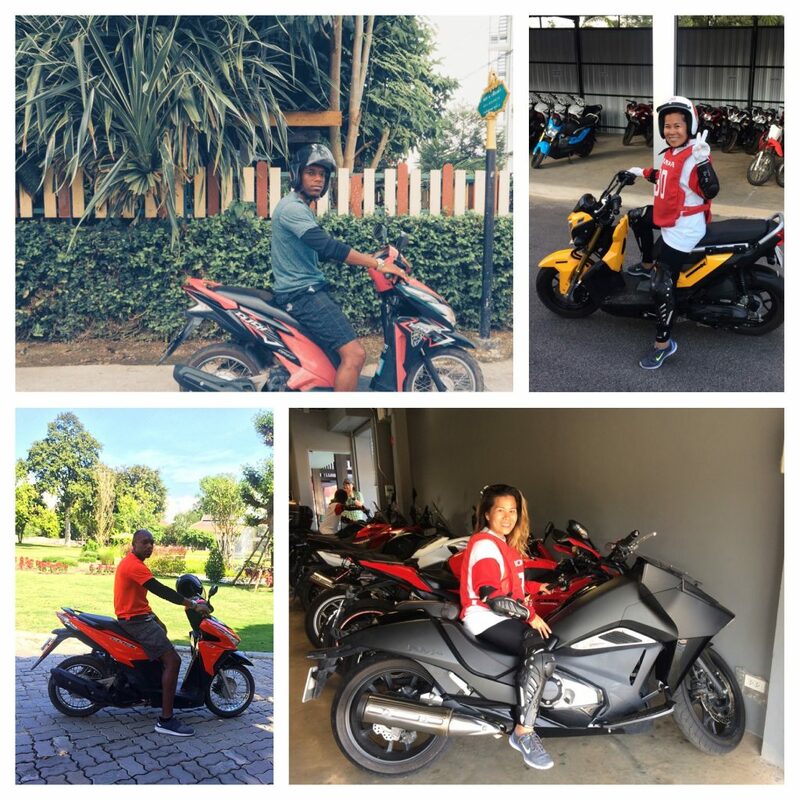 After arriving to Chiang Rai after the harrowing 4-hour bus ride, we checked into our ($80) 3-floor, 3-bedroom townhome for the weekend and were given the keys to 2 Honda Click 125i motorbikes – the same exact color and model of the bikes that Duke and I drove back in Chiang Mai. It couldn’t have been more fitting. Over the next two days, we simply went where our appetites and mobile maps guided us. We probably put over 100 km on the bikes seeking out hidden gems nestled in the northern mountain valley. 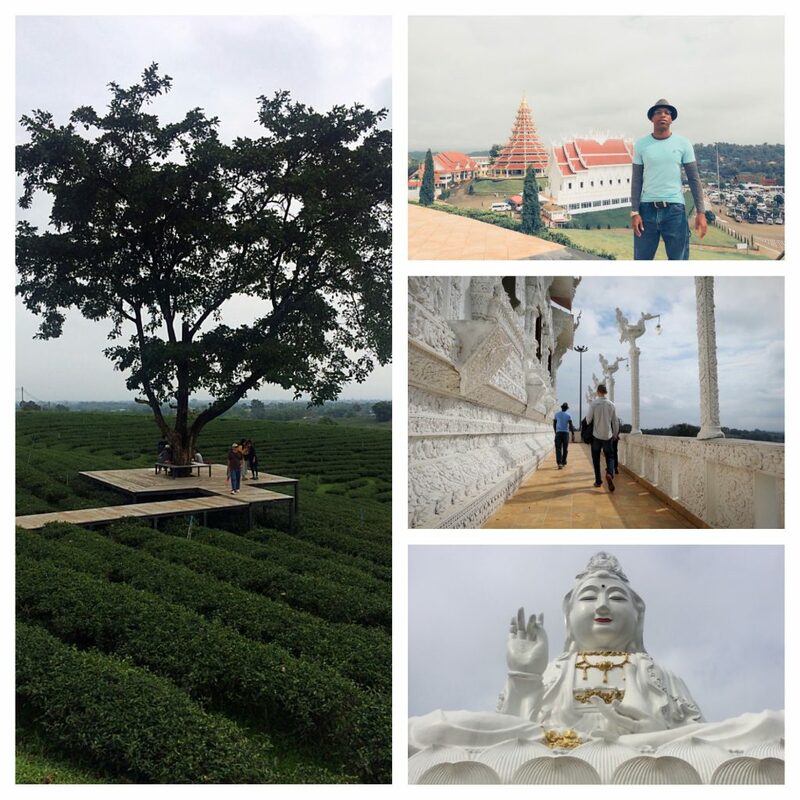 We explored temples and shrines, tea farms, cafes, and riverside eateries. 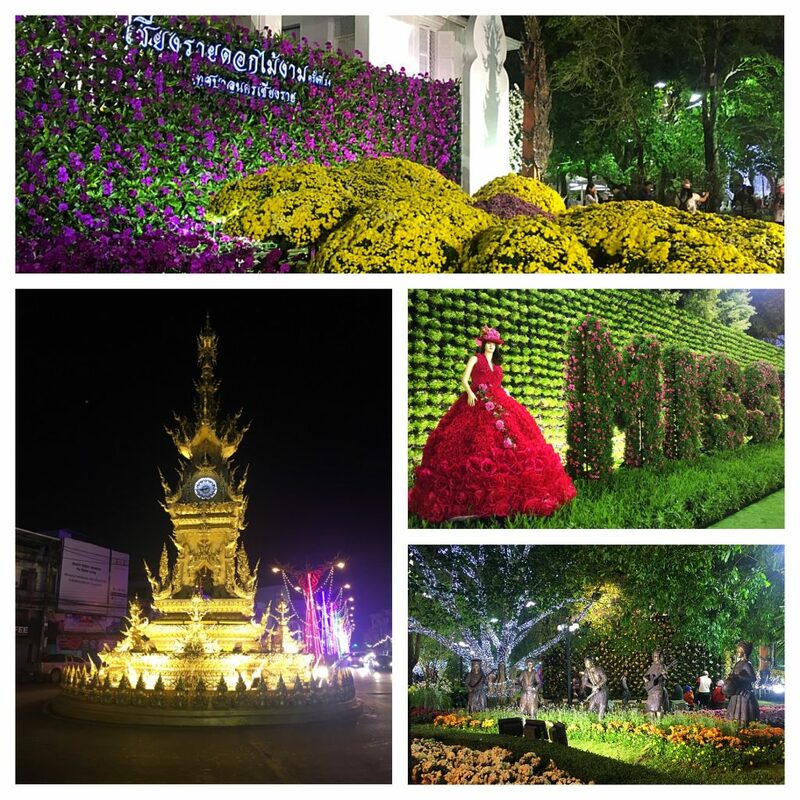 In the evenings, we strolled the night markets, watched the famous Chiang Rai Clock Tower light show, and even stumbled upon the Chiang Rai Flower Festival. We got lost, we got stuck on bumpy, rocky, dirt roads, and we got hit with rain. But it was all just fine. We were having a blast and enjoying simple pleasures with great company. After two days, it felt like we had only been away for a few hours. 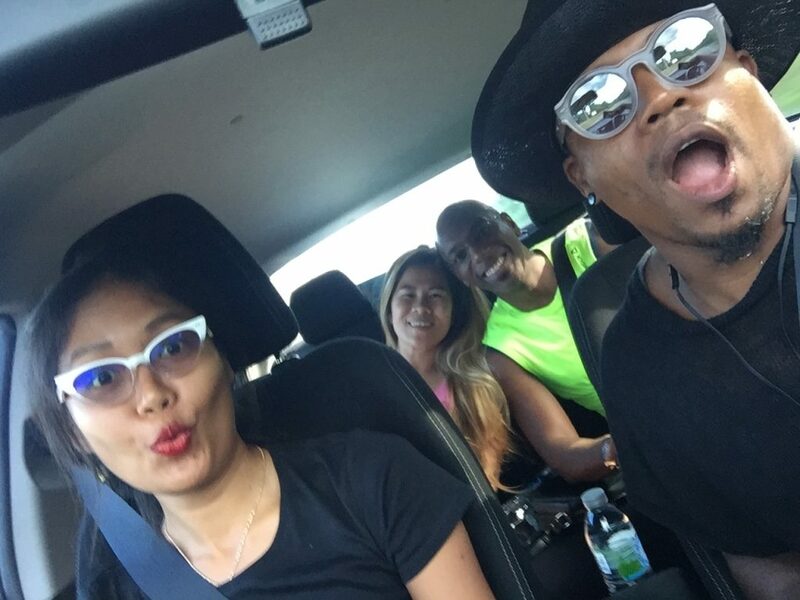 We did so much in such a short time and, yet, there was absolutely no friction on our first road trip together as couples. Again, the theme of our Chiang Mai season emerged – limiting expectations, listening to our desires, and being open to new experiences, allowed for magical moments to manifest. 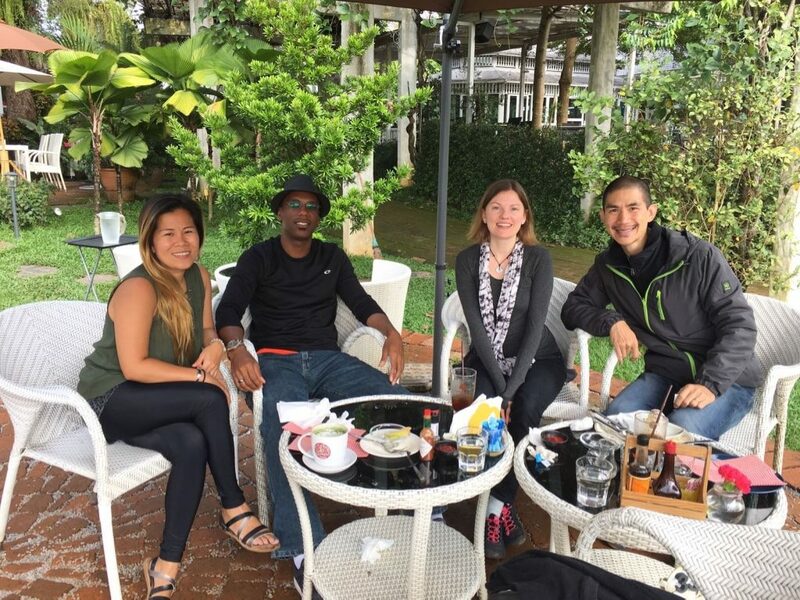 The next day after returning from our Chiang Rai getaway, we started the annual process of saying goodbye to Chiang Mai friends. Due to the visa restrictions and the pending burning season, many start to depart the area in the first two months of the year. Our first goodbye was said to Yoway and Julie, as they were departing for the next leg of their world travels. 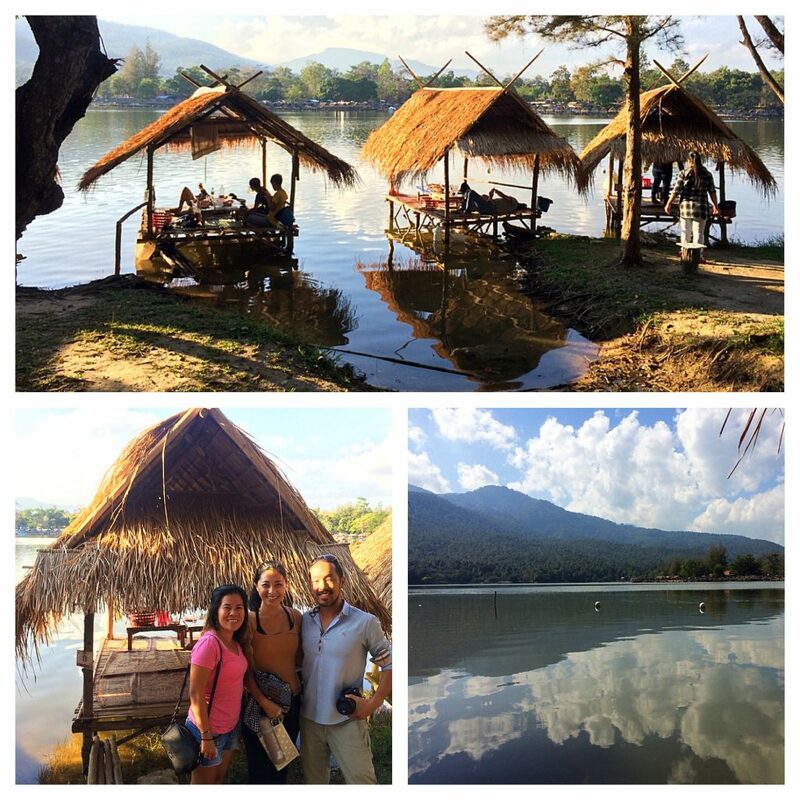 Given that we all enjoy nature and simple moments together, we organized a fitting last afternoon tribute to our time in Chiang Mai by having lunch in a hut on a lake. For practically the same price as street food, we were able to enjoy a lazy Tuesday afternoon overlooking the lake just beneath the foothills on a perfectly sunny day. And though we ultimately waved goodbye as we all departed, we knew it would not be for long as we planned to meet them in Vietnam in just two months time. 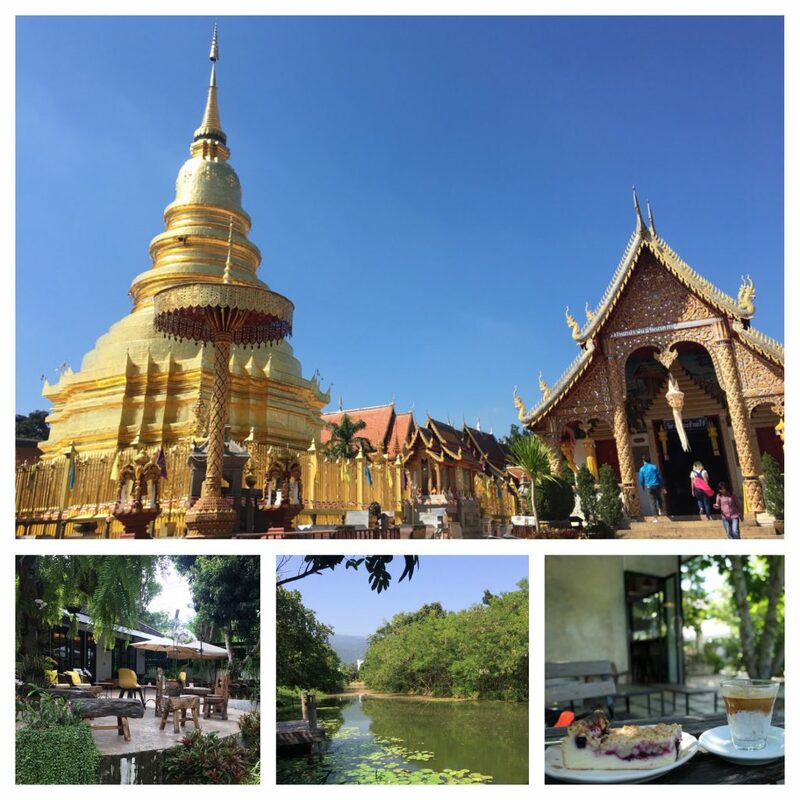 After my once-in-a-lifetime trip to Australia and my wife’s now annual solo trip, this time to Luang Prabang, Laos, in mid-to-late January, we had a final day out with Duke and Jessica before they also departed Chiang Mai for the season. Yet, again we knew our time apart would not be for long as they now spend about 6-8 months in Thailand each year and it’s practically become a second home for us as well. During our final month of this Chiang Mai experience, just as we were saying goodbye to old friends, we said hello to a few new friends. Though we didn’t have as much time with these new friends before our departure in early March, the quality and impact of these newfound friendships was immeasurable. Such that, we slowly started to make plans to meet up with some of these same new faces later in the year as we all crisscross around the globe. Saying goodbye is easier when you sense that it’s temporary. Chiang Mai is 6,000 miles away from our original home in Northern California but it’s quickly become our second home. It’s where we learn to explore – both the physical nature and our physical selves. It’s where our relationships built along this journey seem to merge and it’s where we feel the most comfortable. It’s where we have time for self-discovery and self-exploration. It’s where my wife eventually started her first business venture – A Phieu Things – inspired by her experiences one year earlier in this same place. It’s amazing what a difference a year makes. One year ago, we had neither a clue about this place nor any sense of what to expect. And yet, now it’s become the centerpiece of our life abroad and the anchor of our experiences. We departed Chiang Mai on perhaps the best day to leave. It was the worst day of the burning season that we had ever experienced. The sky was brown and gray; the air was heavy and practically nauseating. We were glad that we “escaped” when we did and that we have the ability to do so, even though we feel tremendously for those who aren’t so lucky. But it was best that we left before our overall experience became tainted. It was nature’s way of telling us that we had learned our lessons for the season and were free to go and learn new lessons in different places. 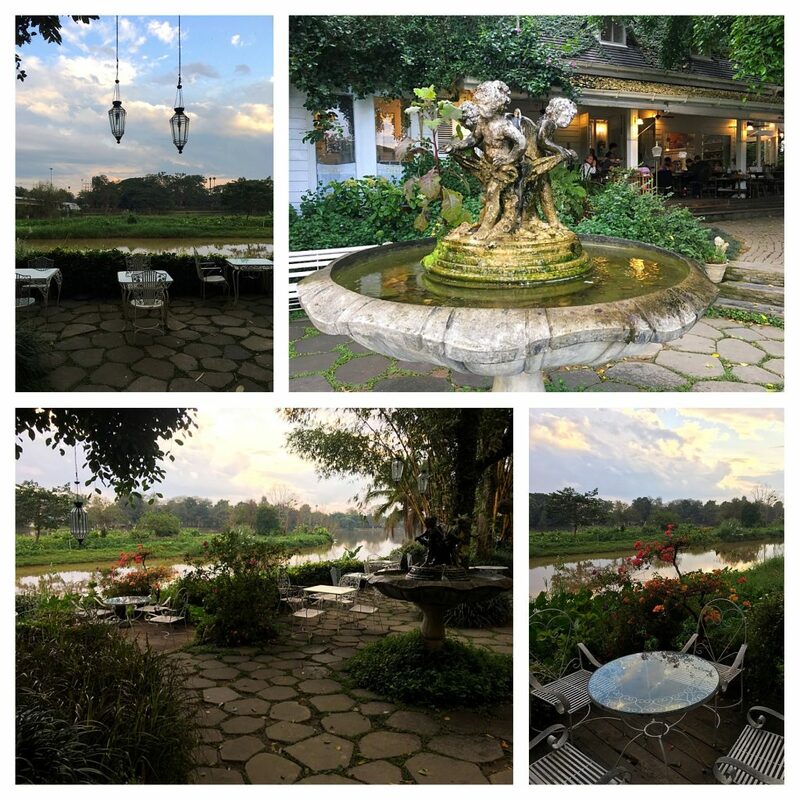 This is the great thing about shifting locations throughout the year – it allows you to reflect, reset, and reengage – readying oneself for new experiences and insights. Such is the challenge along the journey of life. Loved the feel and enjoyed the long read .. I could almost feel the rush from all the adventures . Cheers! Great read, man! The stories and pics are fantastic — an excellent reminder of how much there is to do, see, and experience. 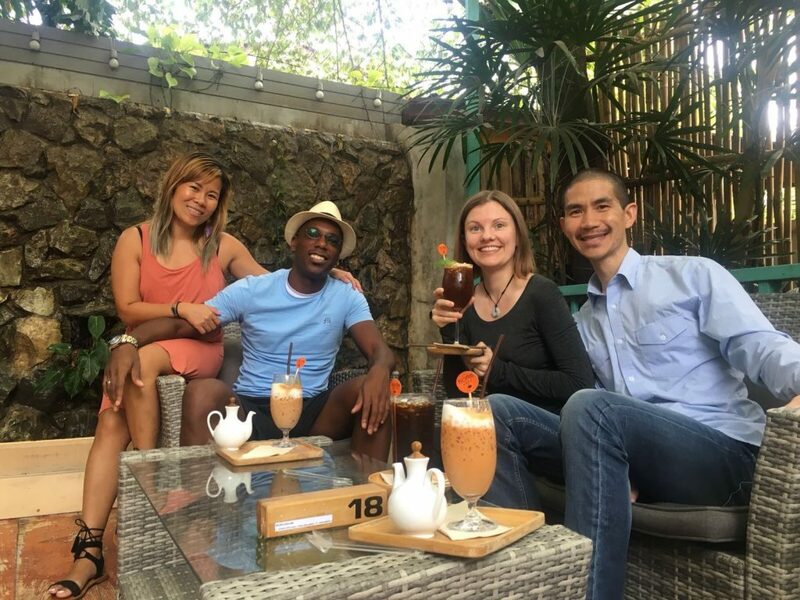 Plus, it dispels the concern that it’s “hard to make friends” as a digital nomad. Look at how many awesome friends you guys have!